I was going to turn this into a political diatribe, but I think the Atlantic covered the bases on my general feelings, so I’ll just leave that link right there. 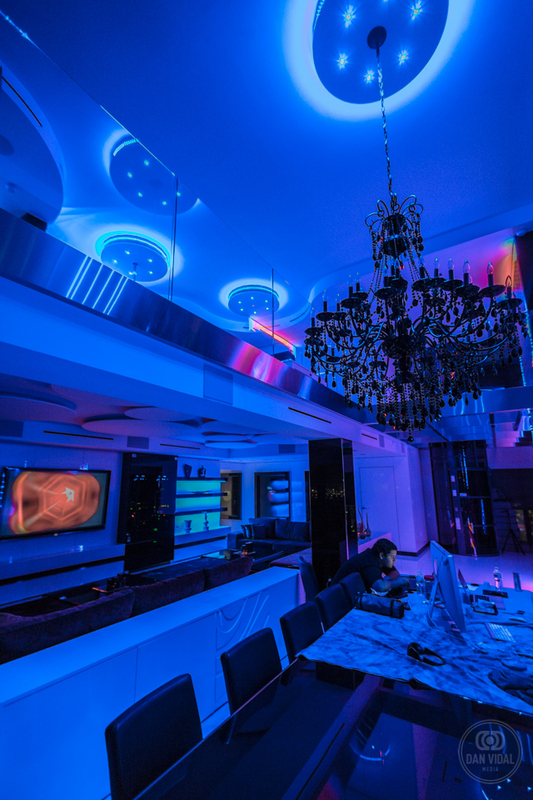 Anyways, I ventured forth yesterday to ostensibly document the IndepenDANCE madness over at Nikki Beach, but I somehow ended up at the project home for my friend Ryan’s company, Smart Home Designer. Meant as a showpiece for all things Crestron, Lutron, and LED related, the unit at 520 West Avenue at Bentley Bay, is a marvel of modern smarthome engineering. 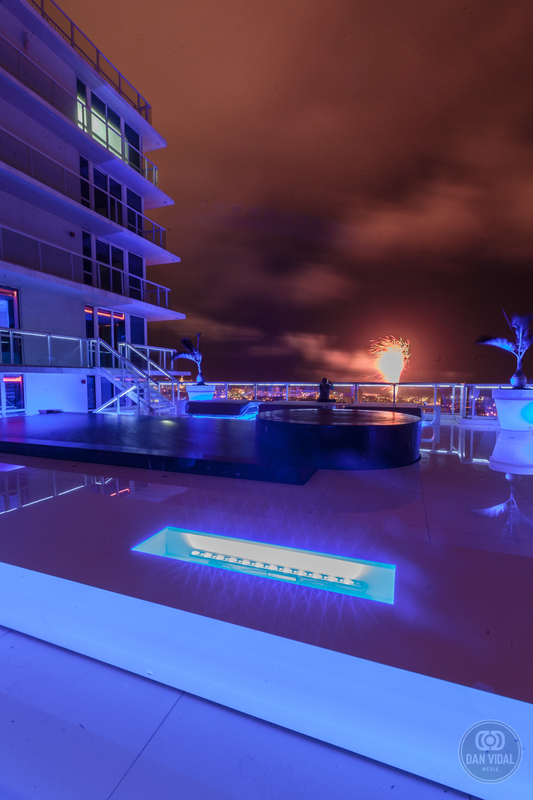 Also, it made for an ideal location by which to shoot the fireworks going on, on both South Beach, and Downtown Miami. Shooting fireworks is much like shooting lightning. In order to get that balance of the city ambience and the explosions themselves, you need to get your exposure balance on point. At a low ISO, this obviously means shutter speeds in the 5-8 second range, if you are operating at an aperture of f8, in order to capture both the scenery and the fireworks in focus. Obviously this changes if your only specific subject in a given photo is the fireworks themselves. Obviously with a fast tele wide open, you can “live” at ISO 1600 and fire off at 1/250 or better, but some of the drama of the entire scene is missing, in my opinion. That being said, these aren’t hard and fast rules to live by. As I explained to Ryan’s assistant Milena, the convenient thing about digital is that there’s the resources to experiment, and also, when shooting RAW, you are afforded significant latitude when doing post-production. RAW especially gives you that latitude to bring out details in post, that may have otherwise been lost. 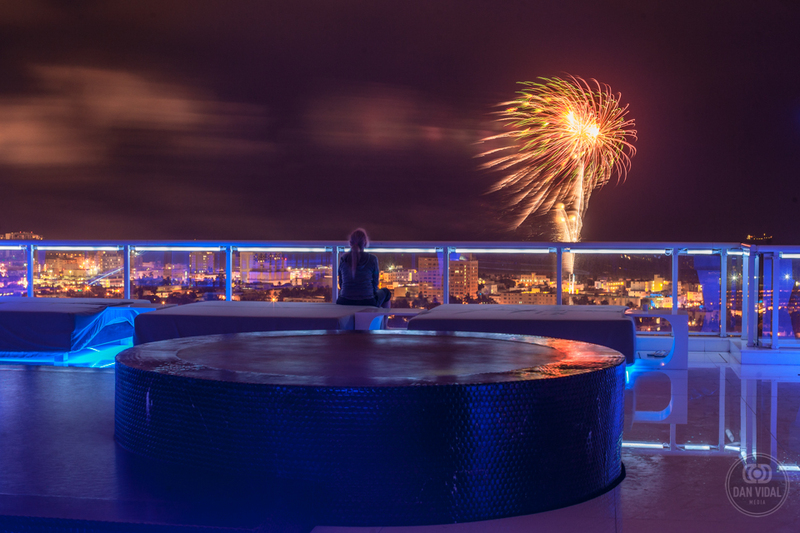 For example, in the photo above, I would have lost the detail of the circular hot tub’s tiling, had I shot straight JPEG and was exposing for the fireworks. That’s pretty much it in a nutshell, for shooting fireworks. It’s actually quite simple on paper, but in practice you do end up experimenting and shooting variations on the “rules” I posted above. Happy Independence Day Weekend to my US audience. Here’s some scenes from the property I was at. These were mostly “off-the-cuff” and shot on a whim. These aren’t representative of my architectural photography as a whole. If I were to do this properly there’d be a whole host of measures taken to ensure the best output, both while the shoot was in progress and also in post production. Look closely, you can spot the mistakes. Posterization on the white surfaces, for one. That’s why you shoot RAW. I can go back and easily correct that.